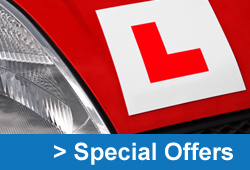 The driving test was initially introduced in the UK in 1935. During the intervening years several amendments have been made to keep the test up to date and make it more relevant to producing drivers capable of being safe road users in the 21st century. You’ll be asked 2 vehicle safety questions known as the ‘show me, tell me’ questions. These test that you know how to carry out basic safety checks. The examiner can show you a simple diagram to help you understand where you’re going when following verbal directions. You can’t use a satnav. During the test the examiner will give you directions which you should follow. Test routes are designed to be as uniform as possible and will include a range of typical road and traffic conditions. For more information on the practical driving test watch the official driving standards agency video on the right hand side of this page.